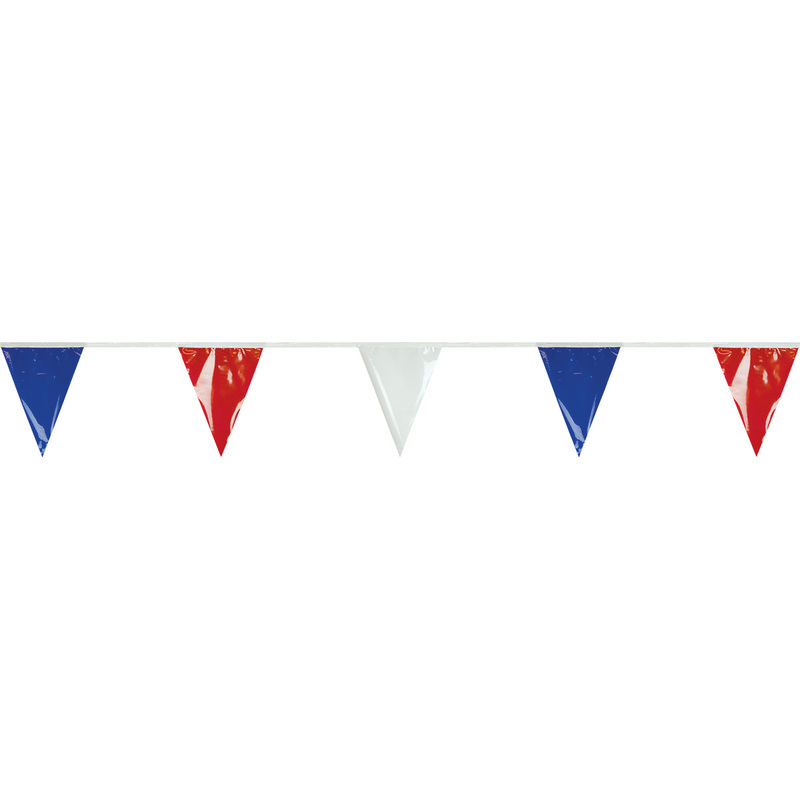 Our colorful, 4-mil polyethylene plastic pennant streamers are great for all kinds of occasions. 12"x18" pennants alternate between red, white, and blue. Mounted and double-stitched onto durable plastic covered rope. 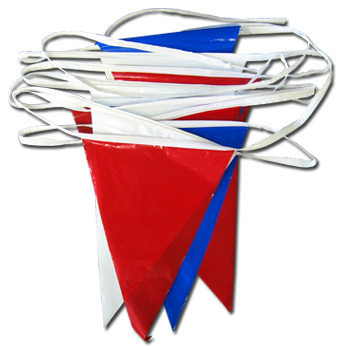 The 60' streamer contains 24 individual pennants. The plastic covering the rope is either red or white (pictured).